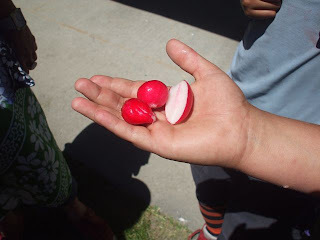 Today, at lunch time, the Green Team harvested their first crop of radishes. These were then sliced up and offered to the rest of the school to try. 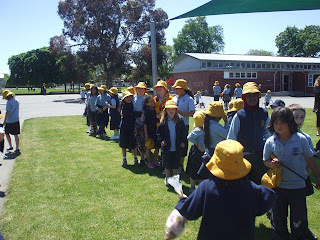 The queue of children wanting to try a radish wound its way across the lawn, with children returning to the back of the line again and again. 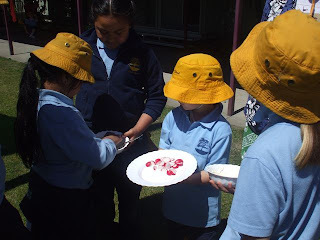 Some children opted for the radish with some dip. Comments from the children included 'yummy', ' very delicious',"very sweet", "can I take some home for Dad?". Staff had to move quickly to get a taste!! 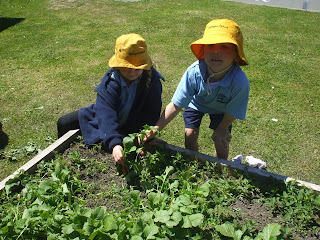 This was a great way to introduce children to new vegetables and the Green Team plan to sow more radishes for later on the year.